The Bible Code: Fact or Fake? This is the third book I have read by Sproul in the last year in which he defends the Reformed Faith, specifically those doctrines related to salvation by faith. These books are a valuable reference in the current controversy over Catholic faith and evangelical faith. 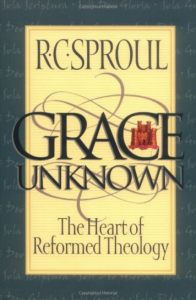 It is disappointing when Sproul refers to Fundamentalism as “unscholarly types” and “backwoods, primitive theology,” as well as when he defends infant baptism as “the majority position in church history.” Sproul, of course, defends every point of Reformed theology, including regeneration of an individual prior to that person’s faith in Christ. In spite of those beliefs with which I disagree, I enjoy reading Sproul and am generally glad for his stand against the liberal attack on faith.